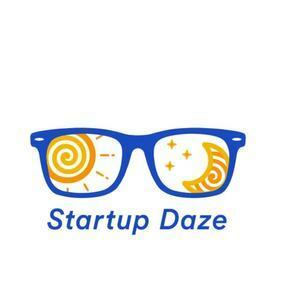 We found 10 episodes of Startup Daze with the tag “startup”. In this episode, Shannon chats with Charles and Daniel, co-founders of Synapse, about taking an idea to physical scaled product in one of the most competitive industries, beverages. In this episode, Alex and Ruwan chat about finding product/market fit, their passion for fresh food, running a Kickstarter campaign, and more. In this (juicy) episode, we chat with Leslie Zinn, CEO of Arden's Garden, about building a health oasis, finding a balance between money and mission, and what to do when it seems everything is falling apart. In this episode, Sanjay and Shannon chat with Tony about starting a brand that became an Atlanta staple, the time Hillary Clinton dropped by for a cappuccino, a new venture featuring all-day pancakes, and more. In this episode, Shannon and Jeff chat about relating to people around the world, staying focused on a clear vision, why you should build your company like the Mona Lisa, and more.